Cleansing - The La Prairie Foam Cleanser is perhaps the creamiest, most moisturizing foaming cleanser I've ever tried. Despite many foaming cleansers leaving my skin feeling dry, I've always preferred their one-stop-shop method of removing makeup and cleaning skin effectively. With this one I don't have to sacrifice moisture or comfort for that same quick cleansing experience. The rich creamy cleanser foams up and removes everything from waterproof liner to liquid lipstick and afterwards my skin feels baby soft. I love that the littlest dab will do as well. 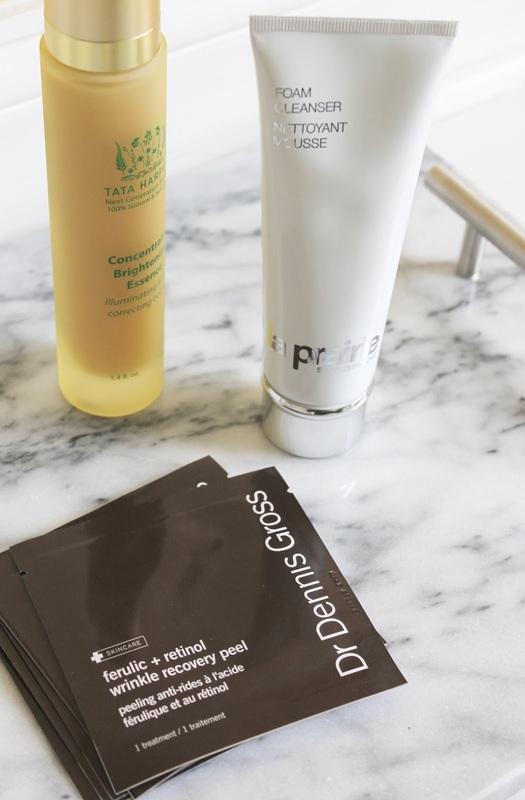 Post-Cleanse Treatments - The Dr. Dennis Gross Ferulic + Retinol Wrinkle Recovery Peel takes the brand's classic peel pads to the next level by treating the skin with the ideal dose of retinol, which means your skin is getting an exfoliating, plumping, brightening and smoothing treatment all in one pad. After using these for a few weeks I can say that things are looking clearer, my pores are less noticeable and the surface is smoother and less bumpy. I think this could become a new addiction. To add back moisture before I go in with my serum and cream, I've been using the Tata Harper Concentrated Brightening Essence. Aside from smelling like a walk through a New England garden, this fluid helps to add back plumpness and brightens the skin. I love how dewy and bouncy it makes my skin feel - even immediately after applying. All you need to do is press one to two pumps into the skin and then move onto the rest of your routine, but watch how this product will amplify the results of everything else. It's truly amazing stuff and the extra step makes my skin feel so hydrated and refreshed. 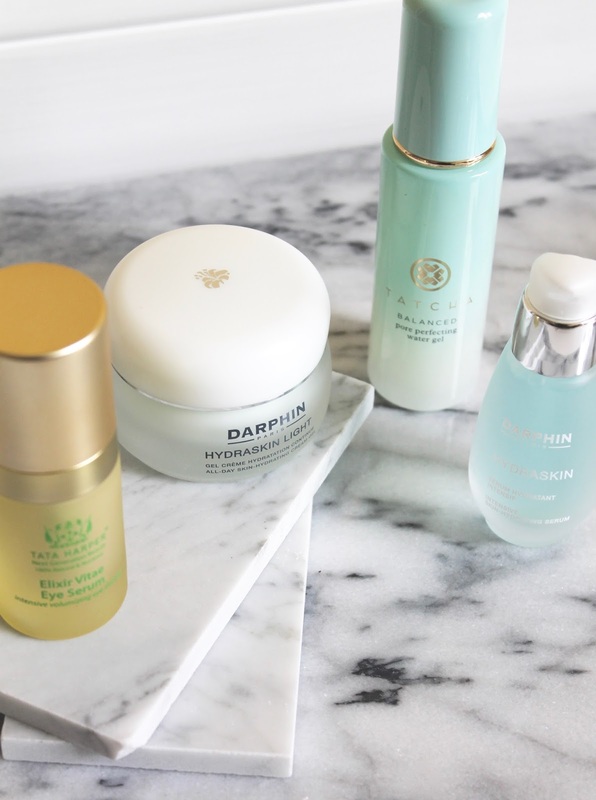 Serum and Eye Cream - I've been loving the Darphin Hydraskin range, and the Intensive Skin Hydrating Serum is the most lightweight one I've ever come across. It contains shea butter to help skin generate moisture and love how it almost feels like another toning step on the skin. It really keeps the skin hydrated, plumped, and smoothed without leaving any tacky feeling on the skin. It's completely absorbed and leaves things feeling prepped for the next steps. 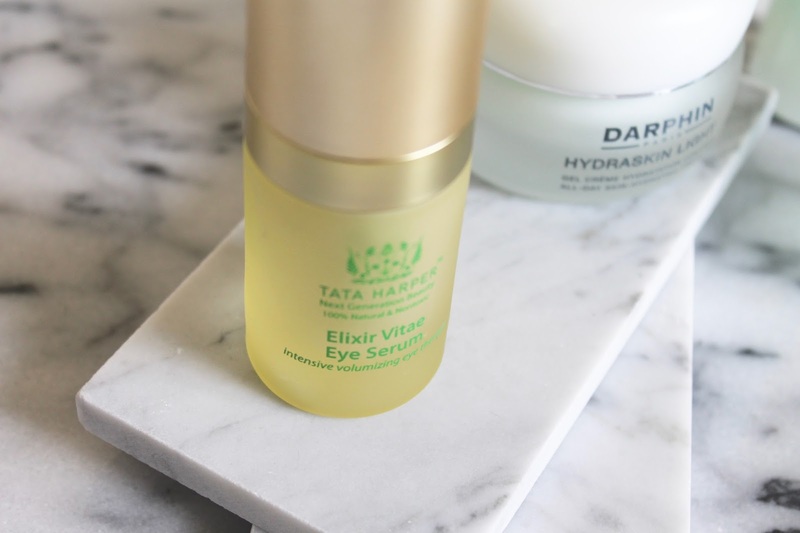 For eye cream, I've switched my heavier creams to a serum, and have been using the Tata Harper Elixir Vitae Eye Serum religiously. I tend to get dark circles if I am dehydrated in the slightest, but this serum keeps the area looking bright and smooth - it's almost like an energy drink for the eyes. It has the most beautiful creamy serum consistency, and it sinks in almost immediately but prevents dehydration lines all day long and acts as a beautiful base for concealer. Moisturizers - For moisturizers I've gone to the lighter side. For day time I've been reaching for the Tatcha Balanced Pore Perfecting Water Gel, as it's an illuminating water-based gel moisturizer that feels superbly refreshing and light on the skin. It contains Japanese Wild Rose, Leopard Lily, Dokudami, and 23k gold dust to give the skin a glowy radiance without any shine. This stuff is a godsend for those of us who get a bit oily in the summer. It gives me the perfect amount of soothing and brightening moisture without clogging pores or feeling like you're wearing any thick layers. I'm a fan of this especially for day time because it cuts down on redness and shine, but adds a lit-from-within glow. For night time, I've been using the Darphin Hydraskin Light All Day Skin Hydrating Cream Gel. It's a bouncy cream that also feels as though it melts into a liquid when it's applied to the skin, but still manages to deliver some serious hydration. 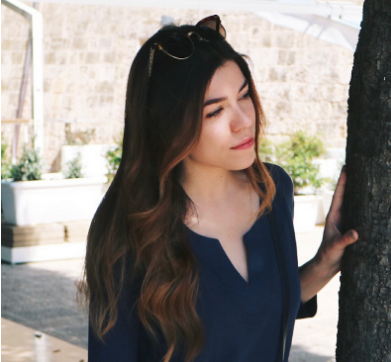 What I love most about it is that you can't feel it on the skin after, so it just feels as though the skin is comfortable and hydrated, but never greasy or oily. Seriously, these two moisturizers have been keeping my skin so hydrated and nourished without the heavy feel or pore-clogging oil. What changes do you make to your routine come the warmer months?